Brrrrr! It's coooold outside! With all of today's snow and super-cold temperature here in NYC, it made me think about a nice cup of hot chocolate. 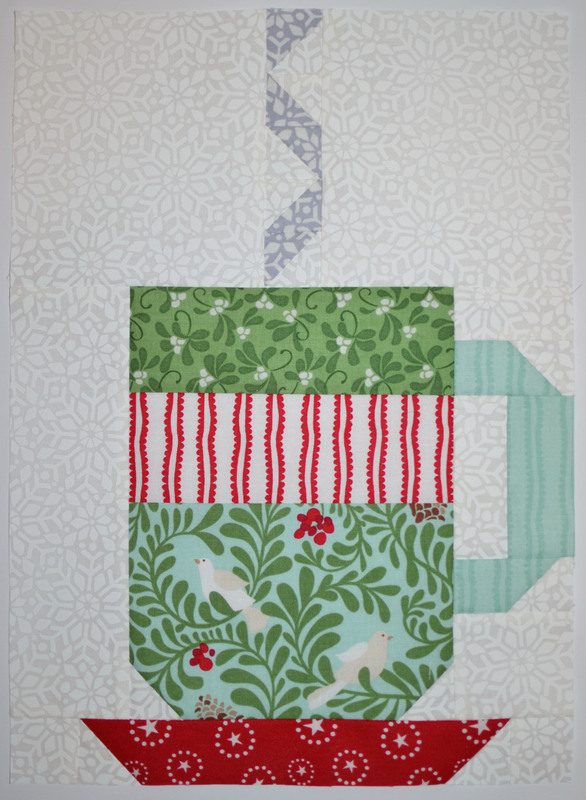 A cup of hot chocolate quilt, that is! I started this quilt just a few weeks ago during the holiday break. And since it is snowing, I thought that now would be the perfect time to finish it up. 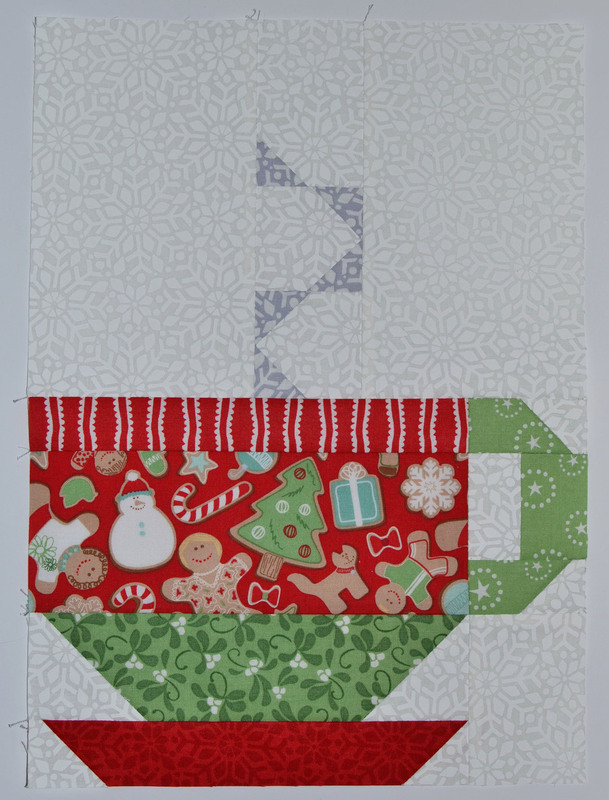 Plus, it's holiday fabric - and I really want to move on to springy sewing. To make a cup of hot chocolate, first start with a generous helping of chocolate. Oops, I mean a generous helping of fabric! I've used a fat eighth bundle of In From The Cold by Kate Spain. Next, start sewing! I used this great free pattern on the Moda website. Kate calls the pattern "Hot Cocoa" but I've always referred to the drink as hot chocolate. So I've renamed my quilt. But wow, this pattern is a LOT of pages, so fill up your printer with paper! There are just 9 blocks plus sashing. I've made a few alterations to Kate's pattern just to make it a bit more unique and, well, Grey Dogwood-y. Here are a few of my favorite blocks so far. Thanks for stopping by! I'll be back soon with the finished top. But now I need to go play in the snow. And make hot chocolate. The real kind. With marshmallows. Lots of marshmallows! four patching with quilty fun!